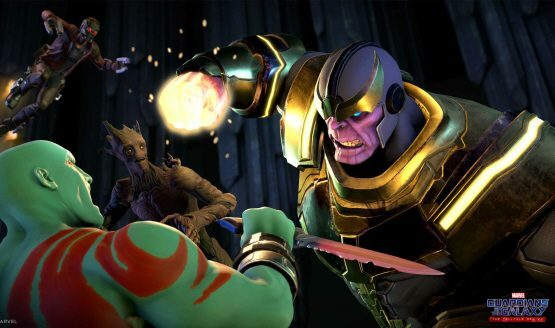 Telltale Games has announced that Marvel’s Guardians of the Galaxy: The Telltale Series Episode 1: Tangled Up in Blue will release on April 18 for PlayStation 4, Xbox One, PC, and iOS/Android devices. The Season Pass Disc, which includes the first episode and access to the subsequent four episodes as they become available, will launch on May 2 in North America and May 5 in Europe. If you’re interested in the digital Season Pass for Guardians of the Galaxy, PlayStation Plus members in North America and Europe save 20% off the regular $19.99 USD/£18.99 price when pre-ordering. Pre-ordering the Season Pass in North America also gets you an exclusive dynamic theme. The next Guardians of the Galaxy trailer will arrive on Thursday, March 30 at 9am PT/12pm ET.